Thank you so much to each of you who have continued with your huge Hearts for Elim through the years! Whether you have come to know us more recently, or have known the mission since those days back when we first started (or anywhere in between) please know how much we appreciate each of you! Your love, encouragement, prayers and support (in such a wide variety of ways) allows us to minister to so many with the love of Christ. This past summer we were blessed with a group of Americans (as well as an American military family stationed in Germany) who came all the way from Texas to help us with our very first Children’s English Camp! 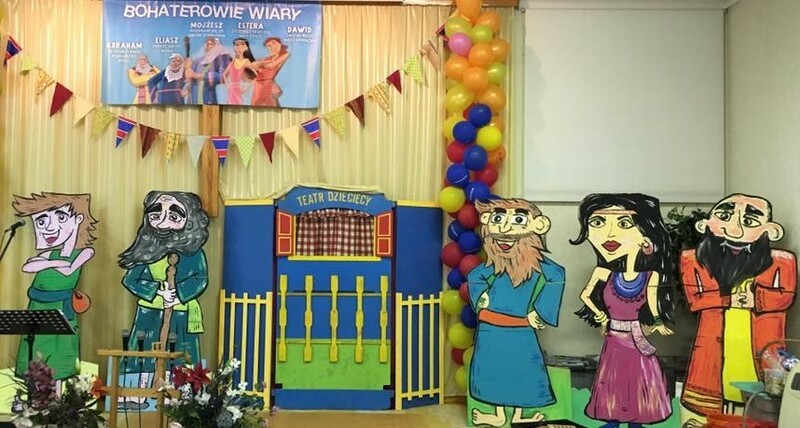 What an exciting time it was to be able to teach the Polish kids English Christian songs, have an English lesson, Bible teaching, English and Polish memory verses, craft and sports time. The parents enjoyed having their kids come home each day singing the songs they learned throughout the week. Lord willing we are trusting that we will be able to do this again next summer as well! Many of these same children also came for our summer VBS (Vacation Bible School). The theme this year was ‘Superheroes of the Faith’. Each day shared the Biblical stories of Abraham, Elijah, Esther, David and Moses. They certainly were not perfect people, but the Lord was able to use them (cracked vessels and all) due to their faith and hearts for Him. A special thank you to those of you who have given stuffed animals for our various ministries! The kids were really excited about the special collections that were given as well (see photos above). We are excited for the changed lives in 3 of our youth who made their public confession of faith to the Lord in Baptism! Julia is the daughter of one of our mission families (Robert and Aneta) who gave her life to Jesus and made it a personal relationship of her own (after growing up in a Christian family). Jesika and Kuba did not grow up in Christian homes but in dysfunctional families. Jesika found herself pregnant as a teenager and got tired of her life and the direction it was headed. The Lord showed Himself to Jessica in a very special way and she is now committed to a relationship with Him and raising her little daughter up God’s way. Kuba has grown up without a father’s example and an alcoholic mother. He kept a lot of bad company as a teenager. The Lord got ahold of Kuba and allowed the eyes of his heart to open and to see Him and change him from the inside out. It is exciting to see him being used by the Lord already as he serves in both Kids Club and Church. 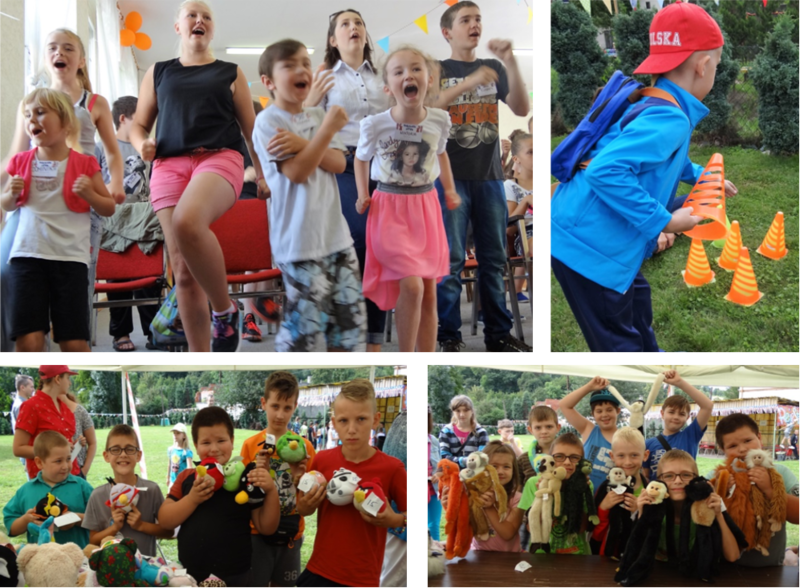 As a mission we count it a privilege to be a part of the larger Body of Christ… those who go out of their way to be a blessing in the work the Lord is doing here in Poland. Whether it is a Boy Scout earning his Eagle Scout award, our brothers in Christ making a trip all the way from France, (photos above), and countless others who have given donations that allow us to bless others here in our area who are in need. It is through donations such as these that give us a step into people’s spiritual lives as well (what is the most important). Thank you again to each of you and your continued Hearts for Elim! Marian and Malgosia: Please pray for her mother Krystyna who has had a stroke. She is presently living with Malgosia and her family. Marian would also appreciate prayers for his eyes and a very bad back. Their daughter Agata is presently going to school at Christ for the Nations in Texas. She would appreciate prayer for her physical health and that the Lord would do a special work both in and through her during this time at school. Lidka: She is going through a difficult time with her leg and eyes. Please pray for wisdom for the doctors that they would be able to help her. Pawel and Judy: Please pray for continued wisdom for our son Joshua (who has Autism). They are praying/seeking council for putting him on medication and praying for the Lord’s guidance on if this is His will. Also, please pray for the Lord’s will for our family in the years ahead. 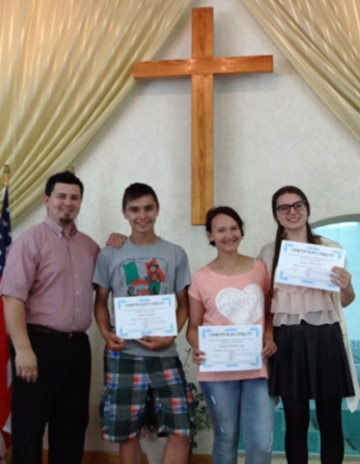 Tomek and Gosia: Please pray for wisdom and guiding in leading the church. Gosia is doing her last year studies to be able to teach religion classes in high school, please pray for her. Please pray for Gosia Zunska who is attending Bible College in Indonesia. Her classes are in English and she is studying to be a teacher. Please pray that the Lord would be with her in a special way during this time and He would continue to use and mold her into the woman He has created her to be. Please continue to pray for the financial needs we have for a fire alarm system for the mission. Please feel free to write the mission for information on this requirement we have.